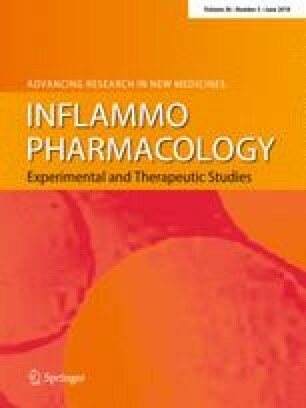 To evaluate the efficacy and safety of oral prednisolone in the treatment of acute gout compared with non-steroidal anti-inflammatory drugs (NSAIDs). A comprehensive search of databases in both Chinese and English was performed. Data from the selected studies were extracted and analyzed independently by two authors. Three double-blind, randomized, controlled trials were included in the final analysis, with a total of 584 patients. Regarding the efficacy, oral prednisolone (30–35 mg/day) was comparable with NSAIDs (naproxen at 500 mg/day or indomethacin at 50–100 mg/day) on the pain relief scale, both in activity (difference in means 0.259, 95% CI − 1.532 to 2.050, P = 0.777) and at rest (difference in means − 0.502, 95% CI − 4.961 to 3.956, P = 0.825) during the first 2–6 h. During the following 4 to 6 days, prednisolone acted with comparable efficacy either in activity (difference in means − 0.552, 95% CI − 1.364 to 0.260, P = 0.183) or at rest (difference in means − 0.164, 95% CI − 0.463 to 0.134, P = 0.281). Regarding safety, prednisolone did not increase the total adverse events (AEs) (risk ratios [RR] 0.765, 95% CI 0.473 to 1.238, P = 0.275) and reduced the withdrawal rate because of the AEs (RR 0.127, 95% CI 0.021–0.763, P = 0.024). Prednisolone decreased the risks of several AEs (including indigestion: RR 0.544, 95% CI 0.311–0.952, P = 0.033; nausea: RR 0.296, 95% CI 0.136–0.647, P = 0.002; and vomiting: RR 0.155, 95% CI 0.033–0.722, P = 0.018) but increased the risk of skin rashes (RR 4.049, 95% CI 1.241–13.158, P = 0.021). Oral prednisolone may be of similar efficacy and a slightly safer strategy for treatment of active, acute gout compared with NSAIDs. Further clinical studies are still warranted to investigate its long-term efficacy and safety. The online version of this article ( https://doi.org/10.1007/s10787-018-0442-8) contains supplementary material, which is available to authorized users. A correction to this article is available online at https://doi.org/10.1007/s10787-018-0518-5. This work was funded by the Zhejiang Provincial Natural Science Foundation of China (LY16H280005 and LQ16H270004), and partly by the National Natural Science Foundation of China (81673623 and 81603088). Z.Xu. and C.W. designed study; J.Y., H.L., and Z. Xu performed research and analyzed data; Z.J. and Z. Xie Contributed suggestion & discussion; Z. Xu wrote the paper.